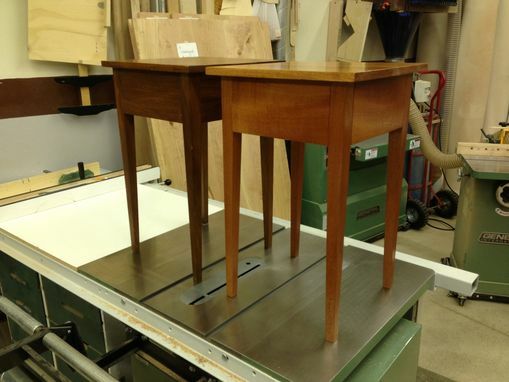 A truly unique & fascinating story from a wonderful customer: her grandfather had made several pieces of furniture from mahogany, including End Tables, starting after WW II when he was in the Phillipines. After visiting my shop and showing me the last of the End Tables that her father had made, she had brought along pieces of left-over wood & asked if they could be incorporated into the replica of the End Table. 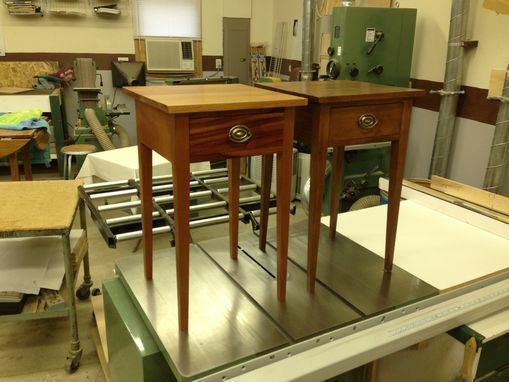 An agreement was reached on the details of the new End Table; it was decided it would be made of mahogany and would include as much of the left-over wood as possible. 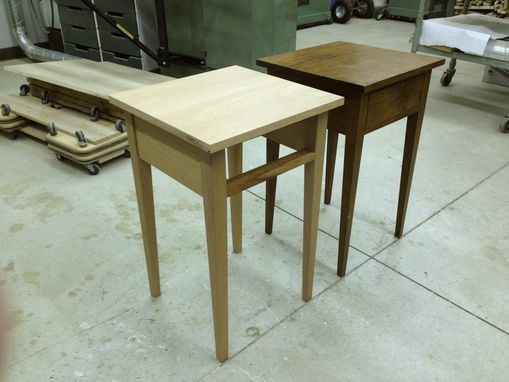 Adhering to the construction details, i.e., mortise & tenon joinery on the table carcass & dovetail joinery on the drawer, the new End Table was completed. Also, it was possible to incorporate a few pieces of the customer's wood: the drawer front, and the top and bottom pieces above & below the drawer front. One big difference that was agreed to, however, between the original table and the replica was the finish; the original table has a shellac finish, while the replica has a gloss polyurethane finish. 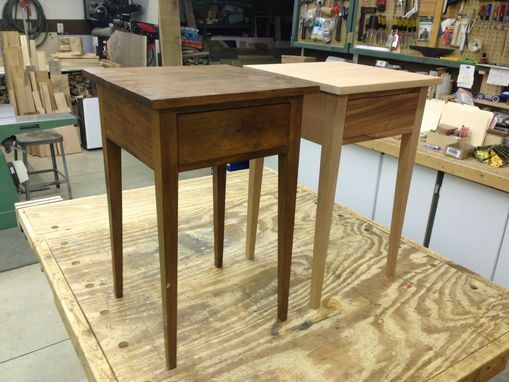 After the customer purchased matching drawer pulls, they were installed on both the original and replica End Tables. Needless to say, the customer was estactic with the replica of her father's End Table! Steve's work and professionalism was so far above other craftsmen, I find the rating too limiting. Steve matched an original end table made by my Grandfather in the early 1930's to every detail, even finding a way to use some old, family wood scraps of Philippine Mahogany in the table front and drawer. The matched table is perfect in every detail, and I'm delighted to recommend Steve's craftsmanship to all. Steve also excelled with timely, informative communication and found a way to deliver my table to me personally, while on other jobs in my area. Thank you Steve! I hope to work with you again. (photo's to come after the holiday! !